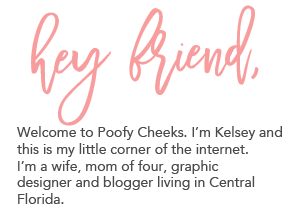 Easter Cut Files post contains affiliate links to products I use and recommend. 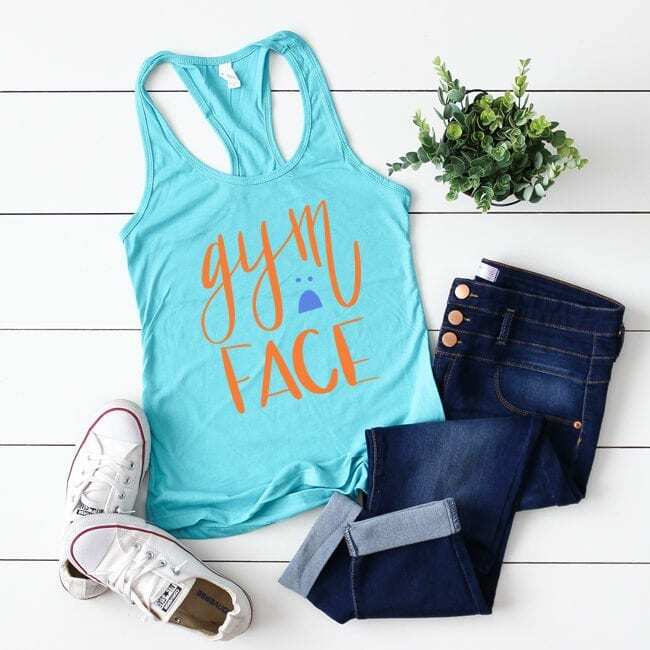 By making a purchase I may receive a small commission. 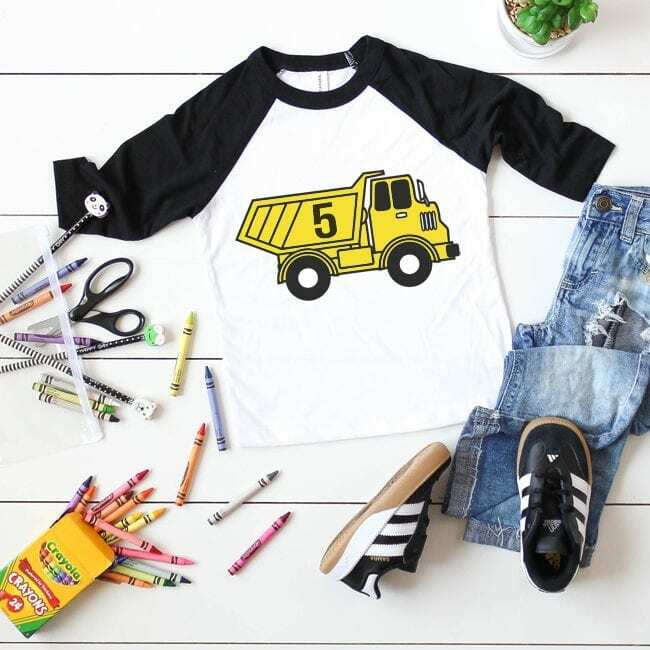 A couple of years ago a friend asked me to make her son a dump truck birthday shirt. I created this cut file and put his age on the middle. I am excited to share this cut file since it’s hard to find boy cut files. It’s funny because we had our sons one day apart and we’re in the same hospital in rooms next to one another. Around their birthdays we message each other to make sure we don’t plan their parties for the same days and time. 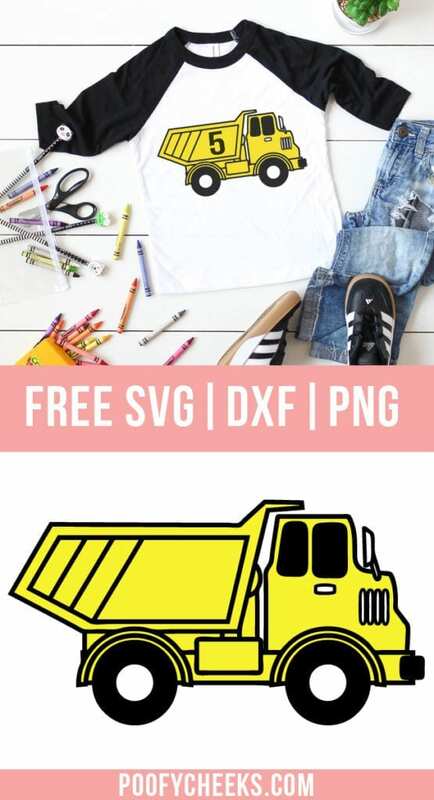 To get the colors of this dump truck cut file design you will need to layer your medium (in my case HTV). Start by cutting out the black background and the layering the yellow layer overtop. Finish by layering the white layer. If you choose to do a number or writing on the truck you will need to create that and layer it on last. Search through our free cut file gallery, purchase a cut file from our shop or check out the 60+ cut files we shared in 2018. 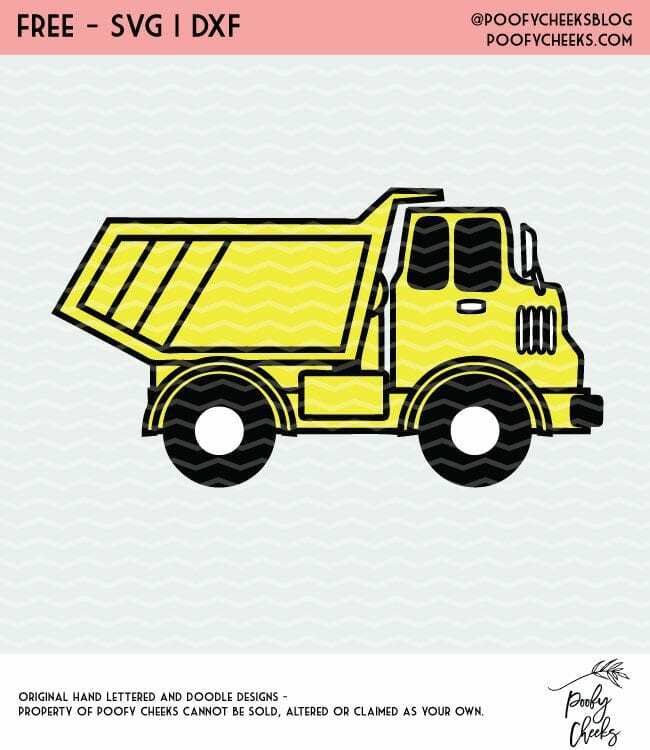 Sign up and get instant access to the Dump Truc Cut File. Join over 10,000 others who download our free cut files.